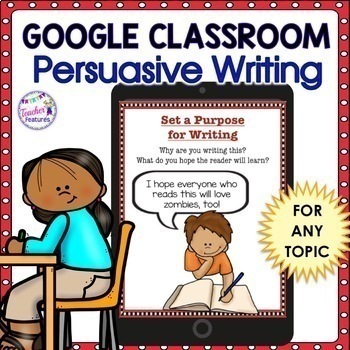 Google Classroom Activities | PERSUASIVE WRITING | Incorporate digital lessons into your persuasive writing curriculum with no prep! Grades 3, 4 & 5 will enjoy these graphic organizers for any text are the easy answer to infusing technology into your classroom. 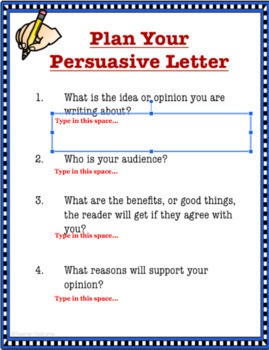 The persuasive writing slide can be used in entirety, or you can choose the slides you wish to use as a mini-lesson. 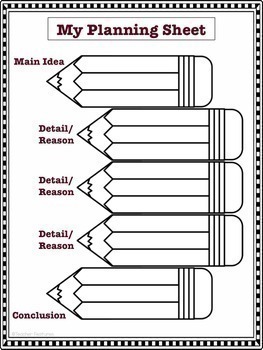 Either way, this product offers an engaging answer to infusing technology into your writing curriculum. Use with ANY fiction or nonfiction text. So easy to use, and your students will love it! Netbook, laptop, or a desktop computer. Are you wanting to try out Google Classroom or add to your 1:1 classroom? Google Interactive products increase student engagement and are a perfect way to infuse technology into your classroom. You can access this product from any location! Interactive products for Google classrooms mean no more lost student content- Google saves automatically. *Google Drive has an option to print if you need to print a hardcopy of student’s work. When you purchase this you will receive a link in a PDF file. First, make sure you are signed into your FREE Google account. Click on the link and you will be prompted to "Make a Copy". Rename the product whatever you would like. It will be sent directly to your drive! Disperse to your students via Google Classroom or a Google Drive Shared folder. Students respond to each prompt by typing in the text boxes. What if I don’t have a Google account yet? No problem! Students can still access this presentation if you set it to be "Anyone with the link can edit". They can add text, just not images. You would have to create a separate presentation for each student and supply them with the URL.